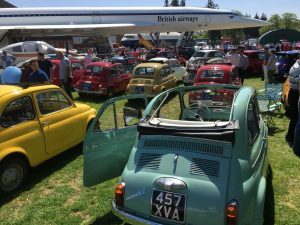 Great day at Auto Italia! 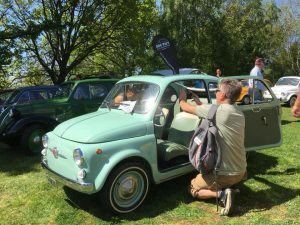 On May 5, Rent A 500 attended the Auto Italia event at Brooklands Museum that celebrated the UK’s obsession with all things Italian. 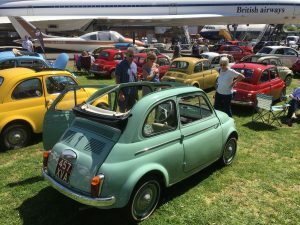 There were lots of great classic cars, including about 30 classic FIAT 500s of different years and colours! Our Gina got lots of attention! 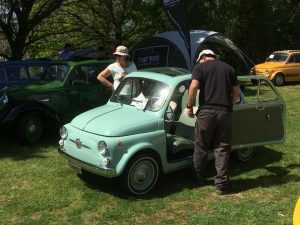 It stood out from the crowd mainly due to its original suicide doors, that are quite a unique feature!